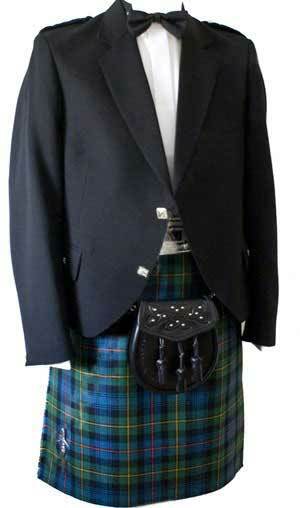 House of Edgar Scottish-made superior quality Argyll kilt jacket in 100% Pure New 13 oz. black barathea wool, features a plain single button cuff, plaited epaulettes and trimmed with chromed Celtic buttons. One only 42 Regular available at half price.